Awesome job on your ensemble! Love your color choices! Love your ensemble, Maureen! Such pretty colors and so beautifully done! Such a fun 3-D card, too...you're so clever! Wowza, Maureen, these are amazing, but that 3D arrow card just blew my head off!! LOVE it, pinning it!! 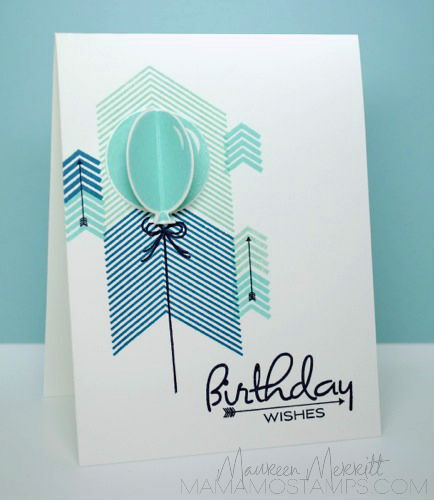 Beautiful cards, Maureen! Love your color scheme and your use of that little clothespin - thanks for joining us at the Simon Says Stamp challenge this week! Wow, you're pretty amazing. Everything you've submitted to the Moxie Fab challenges has been exceptional. Since Monday I've been looking forward to what you'll come up with next. Thanks for all the inspiration. Wowzers! Your ensemble is stunning! I am right there with you. I think ensembles are so hard to do. And they take me absolutely FOREVER! 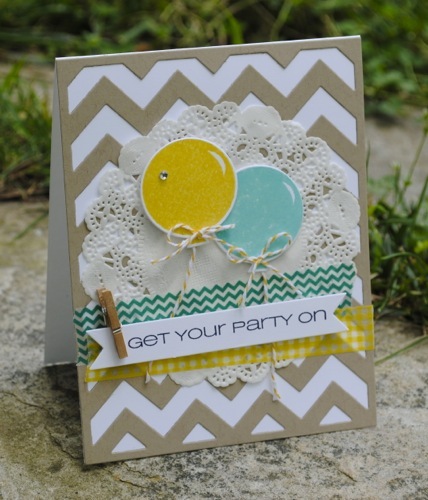 I love your end result...the chevrons and the color combo are great! You really are on a mission! These are fantastic! The balloon card is so amazing! Fabulous collection you have here Maureen !! WOW !! WOW, Mo! Your ensemble is drop-dead gorgeous! You are a true talent, Sistah!! It was well worth all your hard work-it's gorgeous! What a fantastic ensemble. Good for you for creating such a fantastic one! Love the colours and chevrons. This is so fabulous!! Love everything, the colors with the chevrons...lovely!! I love your card ... He's so cute! Can you please you on my blog and if you want to become a Member? fab birthday ensemble- love those PTI birthday style stamps. 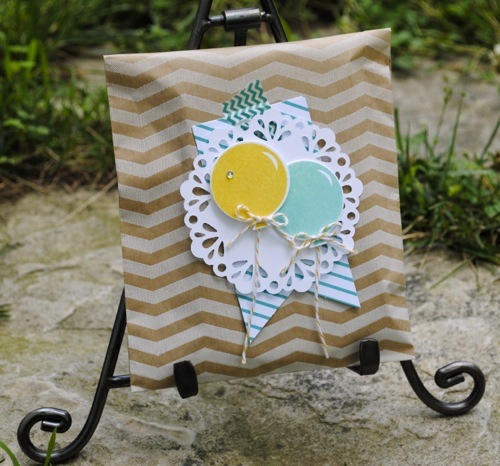 You are rockin' the Moxie Fab challenges! 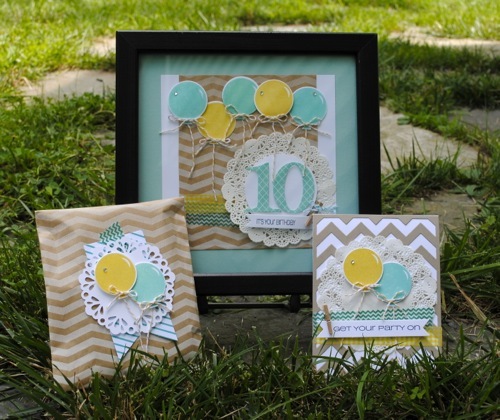 I love the contrast of the doily against the kraft zig zags. As for your 3D card - seriously freakin' awesome! oh em geeee! This is amazing and I can't believe how hard you worked on all of that! You are awesome and yeah...how 'bout that sample for SN, how cool is that! ?